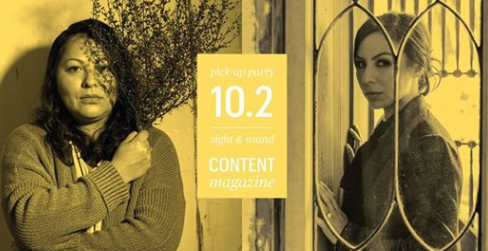 Content Magazine is hosting a party to celebrate their latest issues on April 19th (entitled "Sight & Sound") at the San Jose Museum of Art (110 S. Market St.), one of my favorite museums in San Jose. The event goes from 7pm-10pm and includes live music, pop-up artwork, and fashion designs from the Cilker School of Art & Design. Subscribers get a free drink ticket, an appetizer by Trifecta Cooks, and free admission to the museum (along with a guest). For more information, head over to the event's Facebook page.